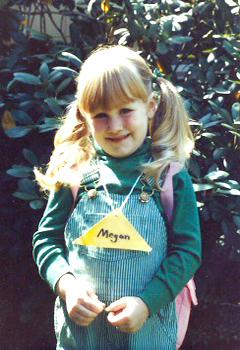 This is Megan on her first day of Kindergarten. Megan is one of our website designers. She suits up in her overalls and turtlenecks each day and goes to work making our site fresh, our emails memorable, our social sites beautiful and oh so much more!